Girl this shirt is perfect to elevate any look. 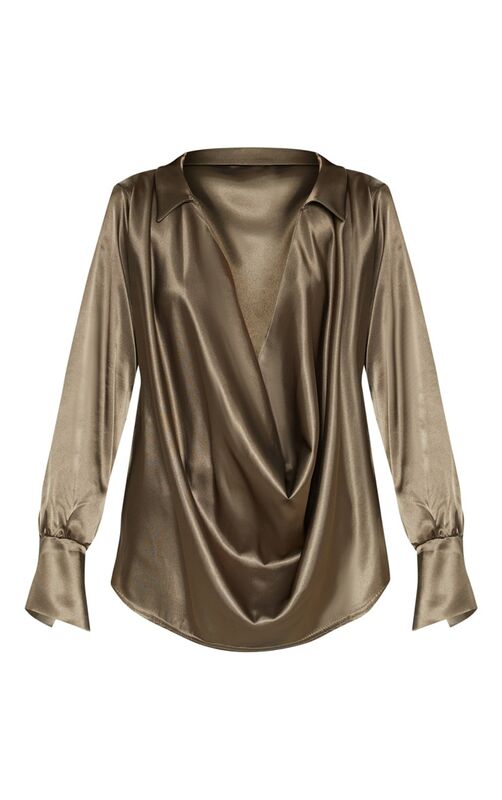 Featuring a khaki satin material with a cowl neckline and a longline fit. 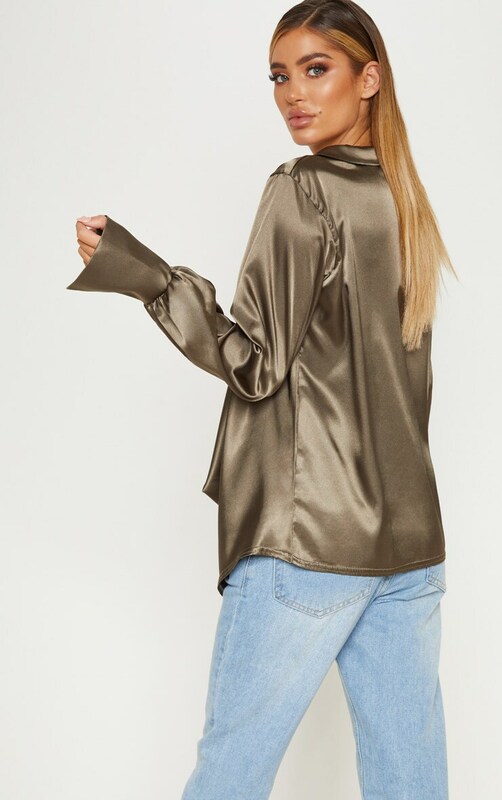 Team this shirt with jeans and strappy heels for a day to night look.